The economy is currently not in very good shape; and in these difficult times, people limit their spending only on basic necessities like food, education and clothing. Entertainment is usually not on the list of top priorities. However, with some creative marketing effort, people realize that theater and dance productions may be a good way to recharge and unwind, and get their minds off their economic woes. An affordable and effective way to get this message across is through custom printed t-shirts. 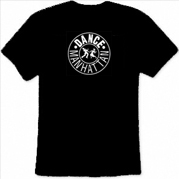 For performing arts fans or patrons, there is probably nothing more thrilling than getting promotional t-shirts and custom apparel autographed by their favorite theater actor or dancer as giveaways for watching a dance or theater production. Aside from getting their money’s worth in the form of quality entertainment, they get a memento that they can keep and proudly show off to their family and friends. While this does not cost the production a lot of money, the gesture goes a long way in creating fan loyalty and promoting the outfit. Cast members can also wear customized shirts bearing the production outfit’s logo or an upcoming show during promotional tours. The same shirts can be handed out to fans and other attendees of the event. This is a rather practical way of promoting your company as giving away something that people can actually use while in the process, helping in promotional efforts when they use the giveaways. We often see people wandering in busy streets distributing a handful of brochures or a stack of business cards promoting their products and services. 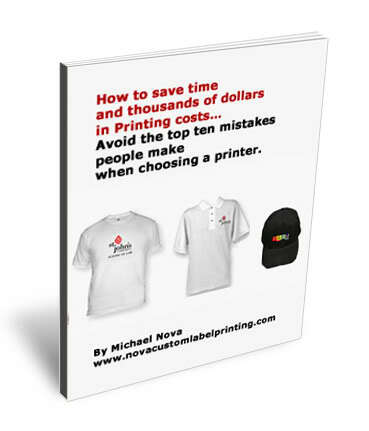 While this may be effective to some extent, including custom tee shirts in the equation will greatly enhance the effectiveness of this promotional effort. People can easily recall a site URL or an upcoming production when they can clearly see the information on the staff’s shirt. This will also encourage them to know more about upcoming productions and to read the brochure. Promotional apparel may be in the form of stamped and embroidered, ironed, bleached, tie dyed, or screen printed t-shirts. They also come in a wide variety of designs. Of course, for best results, choose a design that will include the familiar logo and one that will best relate to upcoming production. It is also important to consider the positioning, size and colors to use in the print to make sure that it can be easily and clearly seen. After all, the objective is to generate interest in the upcoming presentation. In these difficult times, finding cost-effective ways to promote products is key to maximizing profitability and protecting investment. A mobile and affordable way to promote dance or theater production such as using custom apparel is one of the better options today. For one, it can reach a lot more audience and is much more effective and affordable than renting billboards.